Since the market introduction at the butchery trade fair "MEFA" 2015 in Basel, we successfully sell our hamburger press for the production of hamburgers with premium quality. 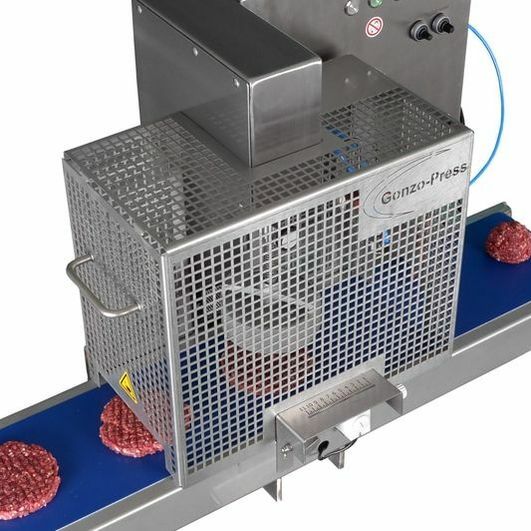 With the automated hamburger press Gonzo-Press you are able to make hamburgers of premium quality. Because you're able to use minced meat with higher viscosity, there will be no edges. Instead, the texture will be nearly indistinguishable from hamburgers made with a hand press. 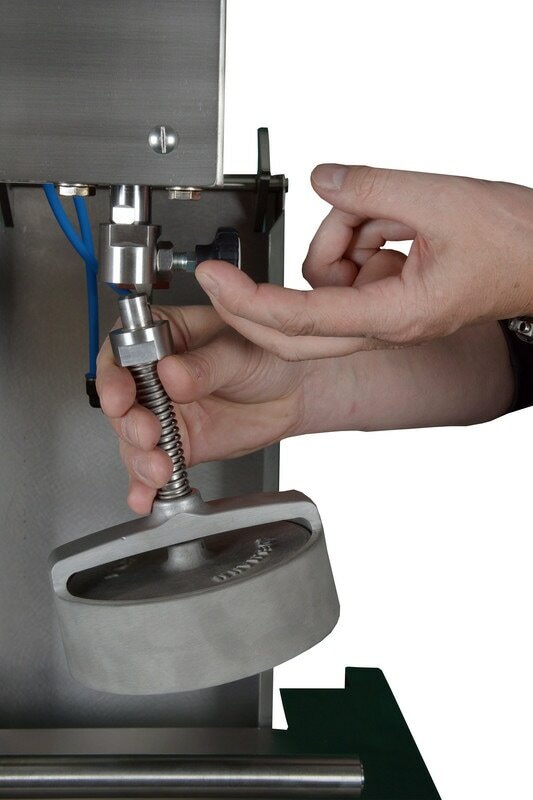 With the automatic hamburger press, the slow manual press process is obsolete. 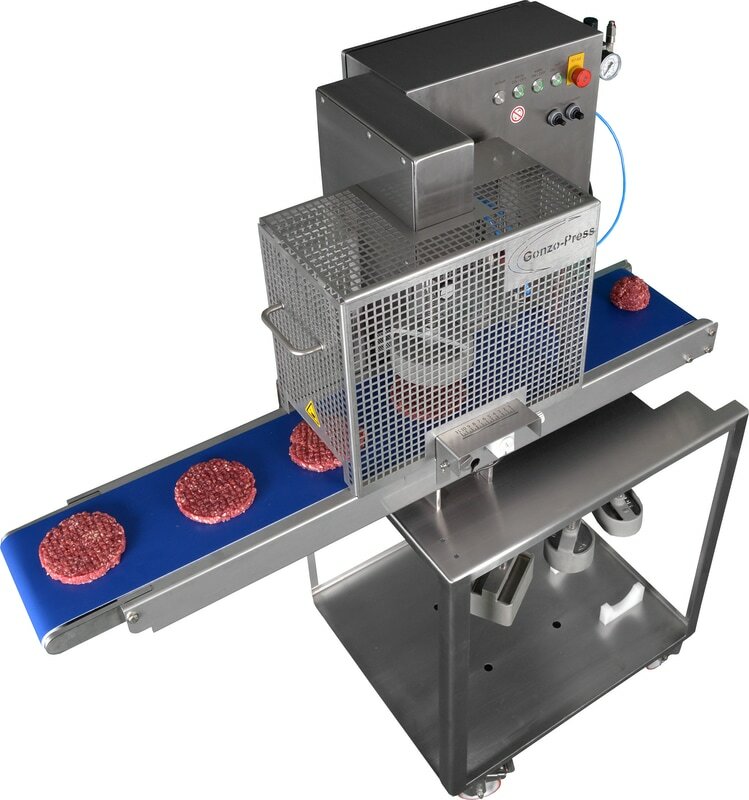 Instead, the process is powered by compressed air, which allows production quantities of up to 3'000 hamburgers per hour. 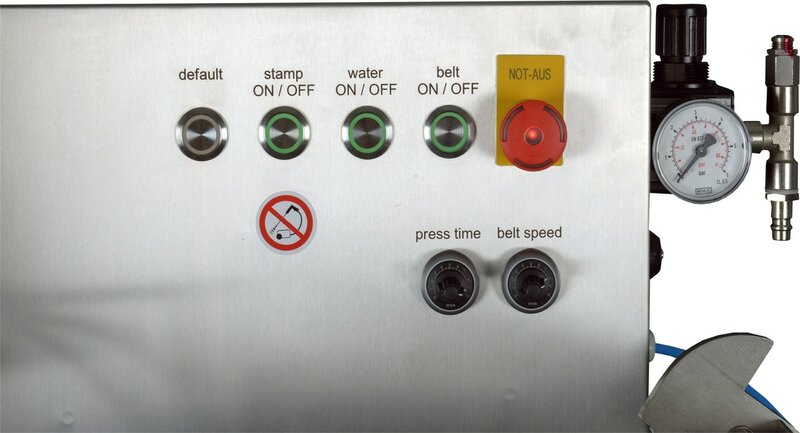 Because of easy readable controls, the machine is really easy to operate and still has many functions. You can adjust the production speed of the machine to your need, so you can use it to it's full capacity. You can easaly dismantle the machine in a few steps. As soon as production is finished, you can dismantle the machine quickly to it's storage size of about 70x60x150cm and store it on a small area. If you have special requirements for the machine, we can customize the machine to fit you needs. We have a large selection of different press fits, so you'll be able to produce exactly the hamburger you want. Ihr Browser unterstützt die HTML-Video ANzeige nicht. Bitte nutzen Sie einen anderen Browser. Complete the contact form and we will make you an offer, send you further informational material or will organize a demonstration of the machine at your location.